Mancer awnings, also called flat awnings, are our most popular design. Sleek and angular, these versatile awnings lend themselves to a wide variety of architecture, while also adding a traditional touch of charm. 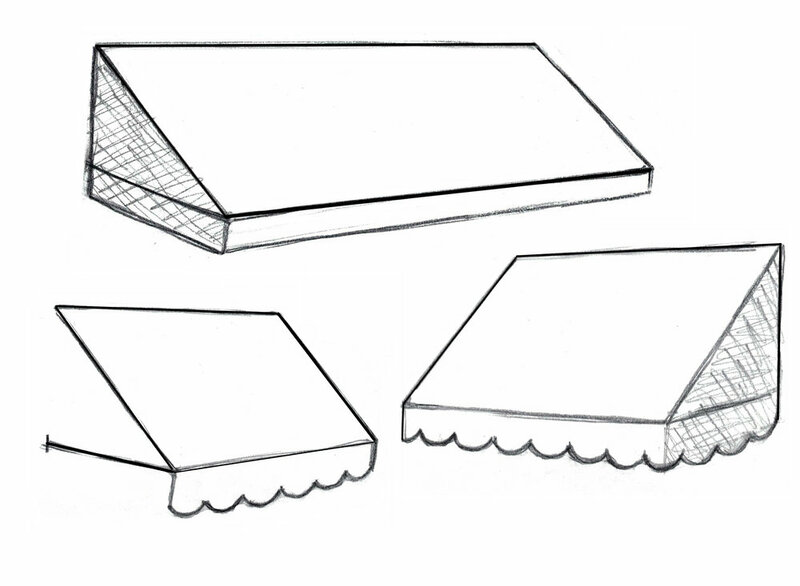 A mancer style awning is usually designed with a sloped front panel. Side panels can be added or the ends can be left open. 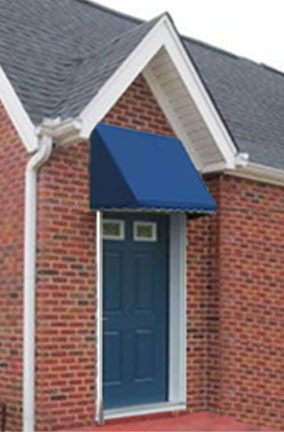 This versatile awning can shelter small areas like an entryway or window, or can be expanded to create shade and shelter for larger spaces like a patio or deck. Relax in your outdoor space, shielded from the sun, or offer your customers and guests a lovely outdoor seating area with shelter from the elements. Like all awnings, when placed correctly a dome style awning can protect your interior from UV and sun damage, and can help lower cooling costs by limiting the amount of direct sunlight and damaging UV rays entering your home or business. For more information about any of awnings fill out the form below. We look forward to hearing from you.